What’s not to love about autumn? The falling of the leaves; the darkening of the nights; the retreat of certain species and the emergence of others. This post is about the first signs of autumn and what to watch out for. Probably one of the first signs of the changing seasons, fungi start to pop up in woodlands in late summer, especially after rain. But it’s not just woodlands – lawns, small patches of grass in cities, too, and even on piles of dead logs. Not knowing a damn thing about identifying fungi, I steer clear of harvesting any of it. 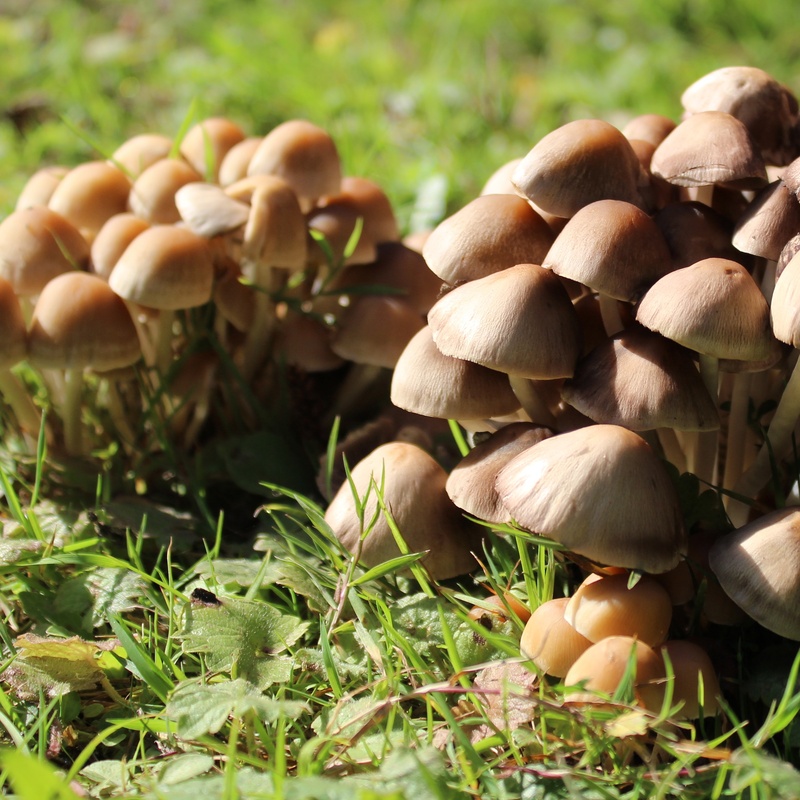 If you are interested, however, you can learn about which species of fungi are poisonous and how to ID them in this helpful guide. Now is the time of year that stags develop their antlers to fight other males and compete to attract a harem of females. The fights are an impressive display of power and fascinating to watch. Leaves changing colour is a spectacular autumn sight. I remember holidays in the Lake District and the incredible display of yellow, green and brown leaves on huge trees around the lakes. It’s interesting to see which trees start to change first and how quickly, especially when half the tree still has green leaves. In fact, a project by the Woodland Trust called Nature’s Calendar wants us to track what trees we see changing colour and when to build a better understanding of how weather and climate affects wildlife. Trees use this season to disperse their seeds and reproduce. Blackberries come into fruit in late summer and early autumn and are a known marker of the changing season. Acorns, of course, are cached by squirrels and other mammals to store in their winter larders – but did you know that jays also do this? Many bird species gather in flocks to spend the cold autumn evenings roosting together or preparing or recovering from migration. Geese flock in large numbers by the coast, rooks go to roost in large flocks in the evenings, and starlings start their murmations. The wildlife-friendly gardener will have thistles and late-flowering plants such as sedum to provide insects with sustenance for the long winter ahead, ensuring a supply for birds in the spring. Look out for the arrival of fieldfare and redwing. It can come as a shock in autumn to discover just how many spiders there are in the world – not just in the world, but in my house! The less said about spiders the better. I confess to liking spiders…. I once spent a work day lying on my stomach in the pouring rain in Grizedale forest taking pictures of fungi for the then president of the British Mycological Society (Juliet Frankland). It was not my idea of fun – the rain didn’t help. But then autumn in the lake district basically means rain, and lots of it! I’m glad you remember holidays in the Lake District too. It’s a glorious place to see in autumn, as in other seasons. Happily it doesn’t always rain there as my own photos show! Yes, your photos are beautiful and really took me back! I wish I could have a go at fell walking but my health would probably not allow it. Maybe there a mini fells I could tackle. Thanks for your comment! Previous Previous post: Fegg: the fake egg has finally been created!